"I like the idea and pose of the first cover but the styling is terrible." 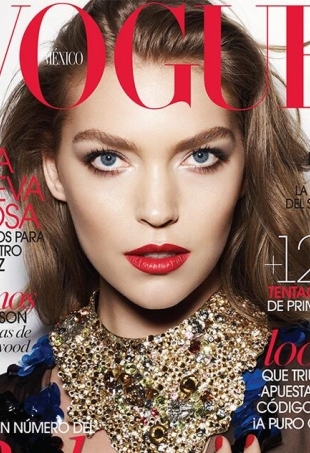 Vogue Mexico often receives a bashing from our forum members, and it appears as though it will continue into 2015. Forum members were split on the shot of the Czech model, which is about to hit newsstands. "She snatches Vogue covers month after month, it's like the only thing she does now."